Street artist Phlegm is the latest to decorate the walls of Village Underground in Shoreditch. 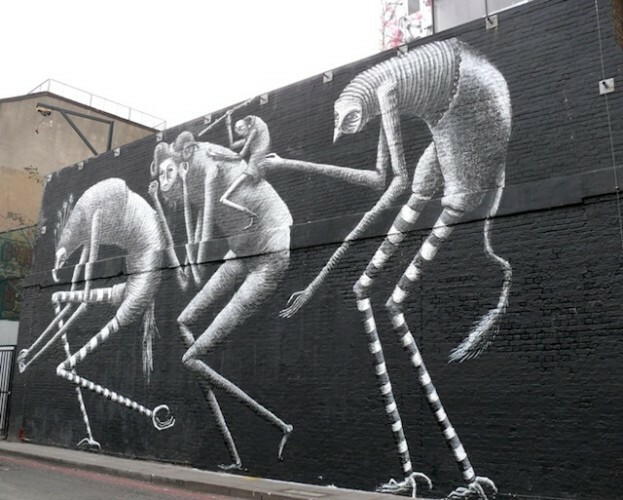 The distinctive artist has daubed his gangly characters on both sides of the entertainment venue, with a giant mural on Holywell Lane, and four smaller (but no-less impressive) panels on the Great Eastern Street side. 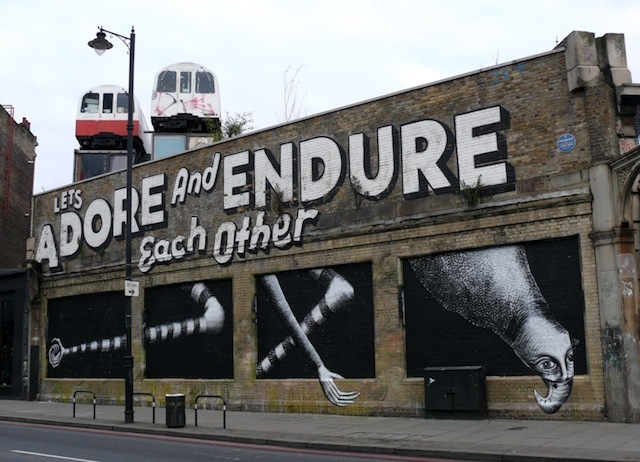 The Sheffield-based illustrator, who specialises in intricate black and white characters and cityscapes, also left his handiwork on the Foundry building at the other end of Great Eastern Street, back in 2011. His latest piece was arranged with the help of Street Art London. Photos courtesy of Jeane Trend-Hill.